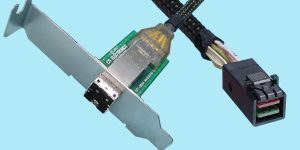 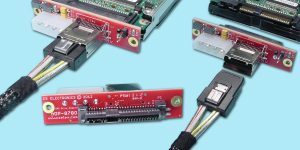 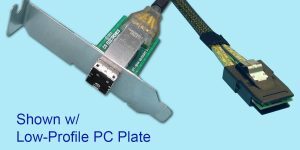 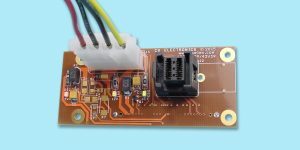 CS Electronics offers a variety of High Density Mini-SAS Drive Adapters (T-Card adapters) for table-top drive testing and multiple-drive config’s. 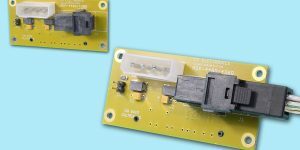 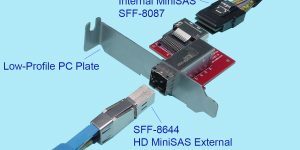 The primary data interface connectors for HD MiniSAS drive adapters are the SFF-8644 (External), SFF-8643 (Internal) connectors, which are both 36-pin connectors that can support up to 4-ports (4 lanes) of SAS data. 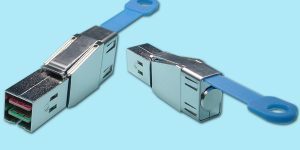 These connector interfaces meet the SAS 3.0 standard, and meet SAS Next Generation speed and density requirements. 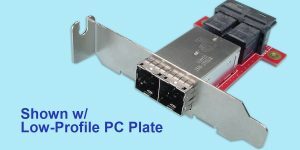 Other variations include the SFF-8087 and the female panel-mount SFF-8644. 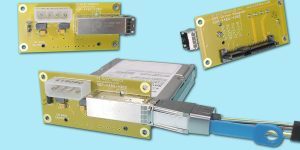 We offer both ‘dual-port’ drive adapters, as well as our new 12Gb/s 4-port T-Card adapter.